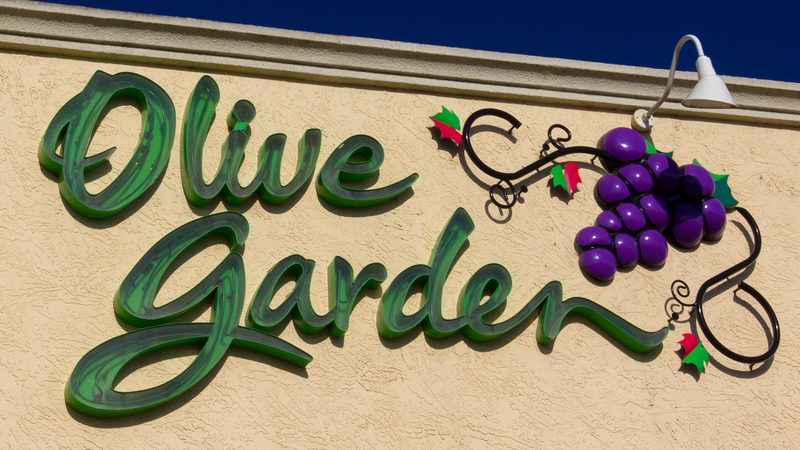 TARRANT CO., Texas -- A woman is seeking damages of up to $1 million following a trip to Olive Garden that, she claims, left her with burns that required medical treatment. The lawsuit was filed on March 8. According to KTVT, court records show the woman, Danny Howard, was eating at an Olive Garden in Tarrant County, Texas in August 2017 when she ate a piece of stuffed mushroom. The lawsuit claims her mouth began burning, she began to choke and was unable to breathe. She managed to dislodge the piece of mushroom and went home, according to the lawsuit. She later went to the hospital to see a doctor. On the way to the emergency room, Howard claims her throat began to close. She dialed 911 "believing she was about to suffocate and that death was imminent." She was eventually taken from that hospital to a burn unit for treatment, according to the lawsuit. The lawsuit seeks damages in the amount of $200,000 to $1 million.